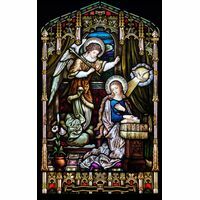 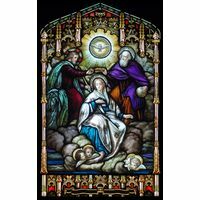 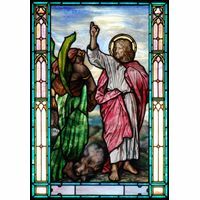 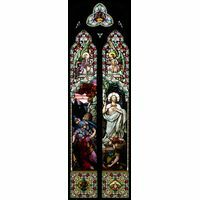 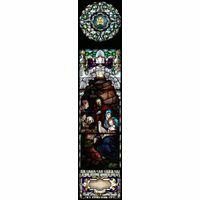 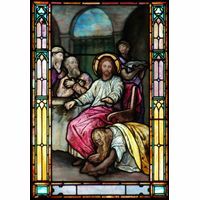 Ornate filigree surrounds this delightful stained glass window which depicts Martha working to serve Jesus and Mary intently listening at His feet. 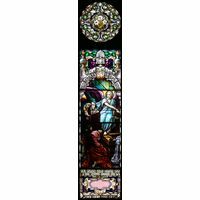 The floral design makes this piece stand out and draws the eye toward the main illustration. 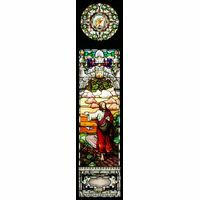 This design features a place for text, such as a memorial, devotion or scripture. 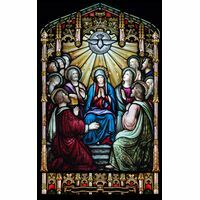 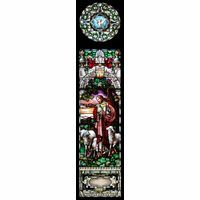 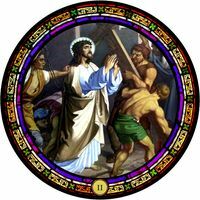 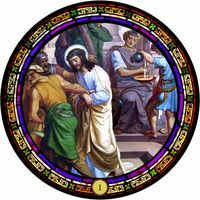 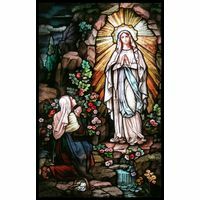 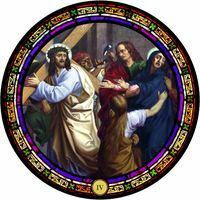 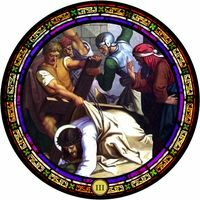 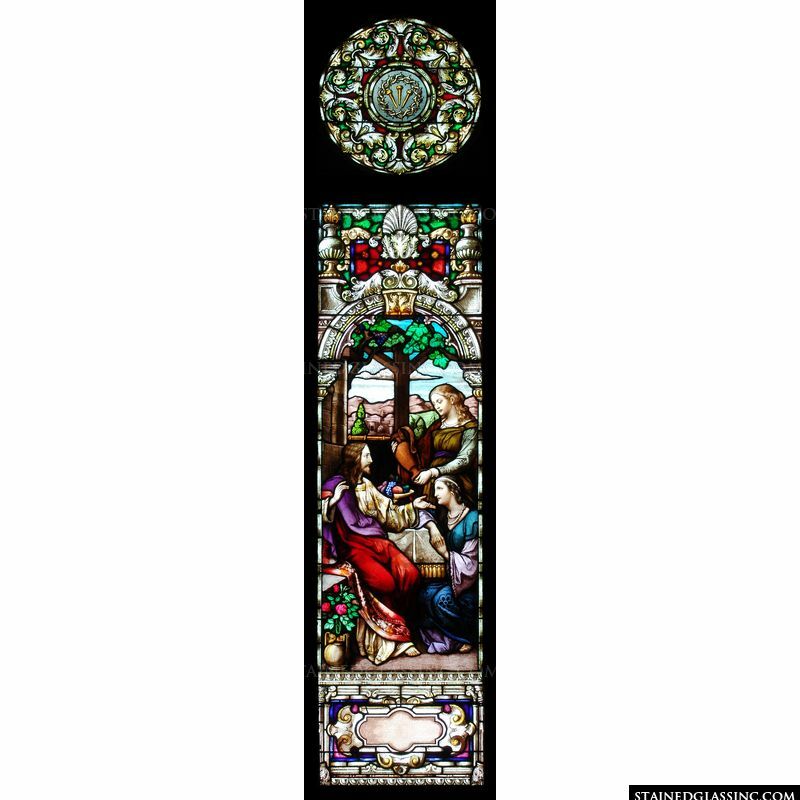 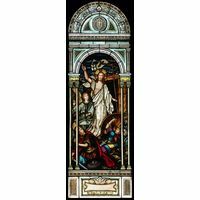 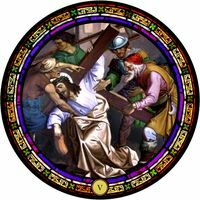 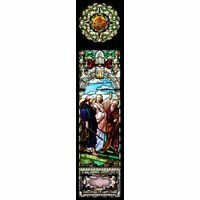 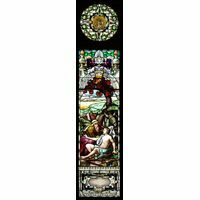 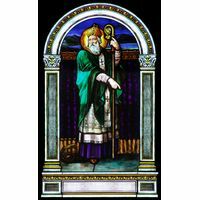 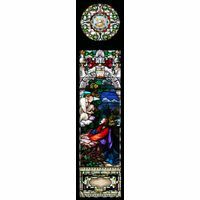 Effortlessly display this stained glass in your church, chapel or your home. 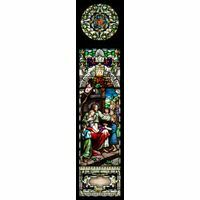 All of our pieces can be ordered in any custom size to fit your needs.